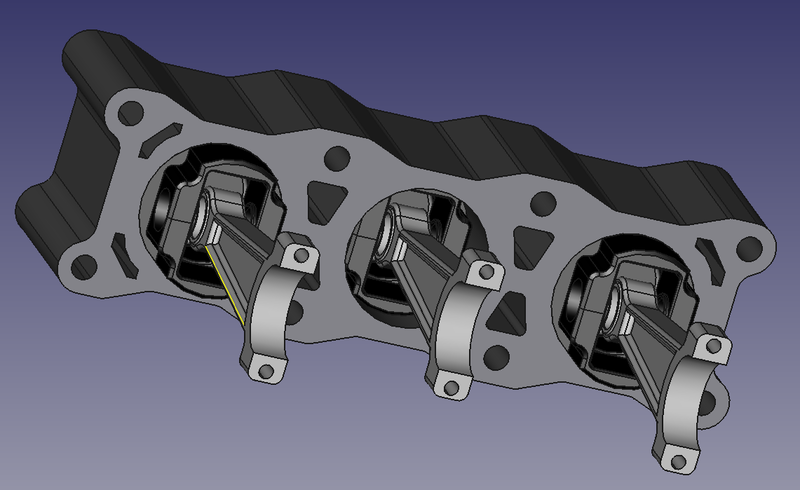 FreeCAD has shown some capabilities that I did not expect and some lacks that made my work tedious. I am not able to create symmetries in sketches, have not found any way to copy-paste and sketch and attach it to a new face and few other things that I will comment in further posts. ¿What do you think about the engine? 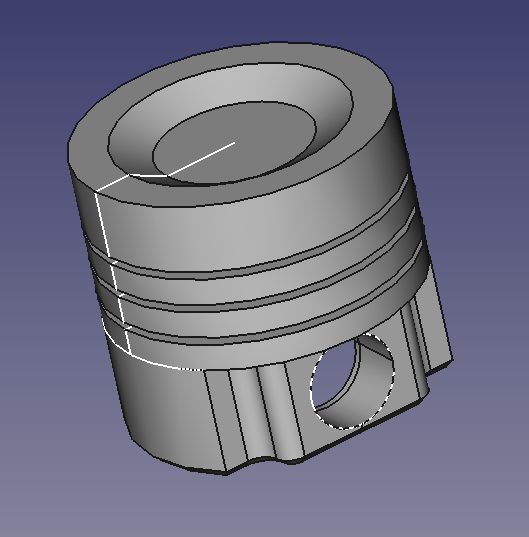 I want to create something that creates interest in people and makes them give a try to FreeCAD. 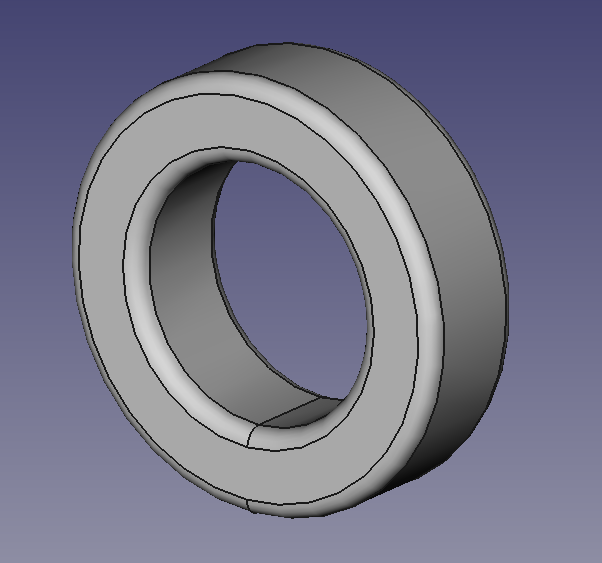 This instruction will create a torus with big radius R1 and small radius R2 at (0,0,0). 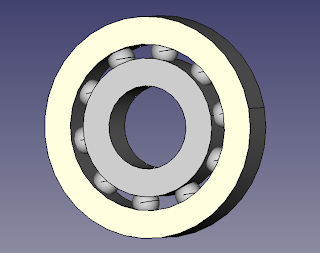 With this you have a groove with a radius R2 a radial distance R1 just in middle of the bearing, a little improvement to our bearing. 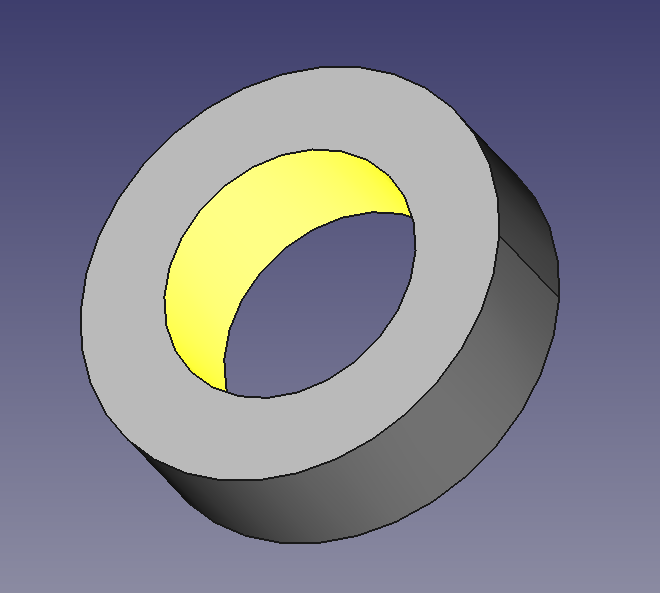 After a bit of research I found how to select edges and how to fillet them, just two commands. 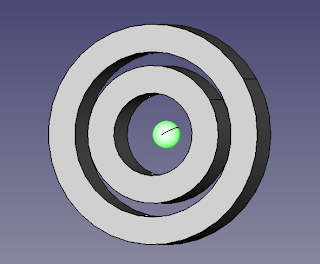 First, we create a new variable that I`ve called RR and contains the value of the rounding radius. 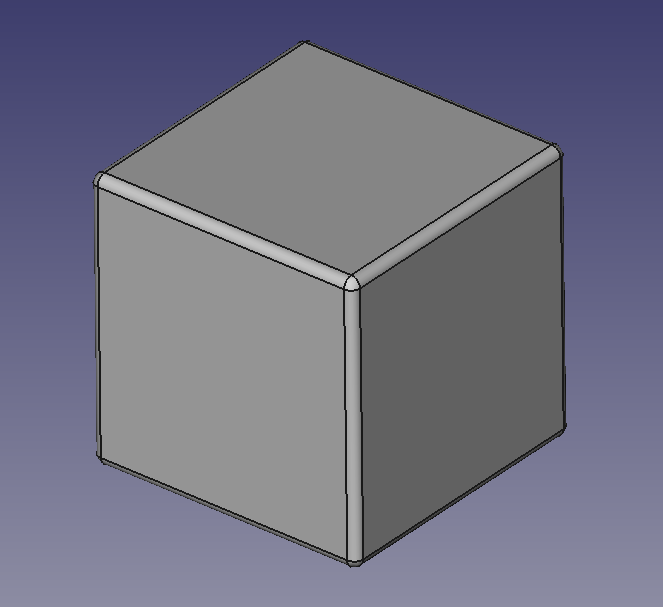 Do not create a very tiny box or making fillet will crash freecad. 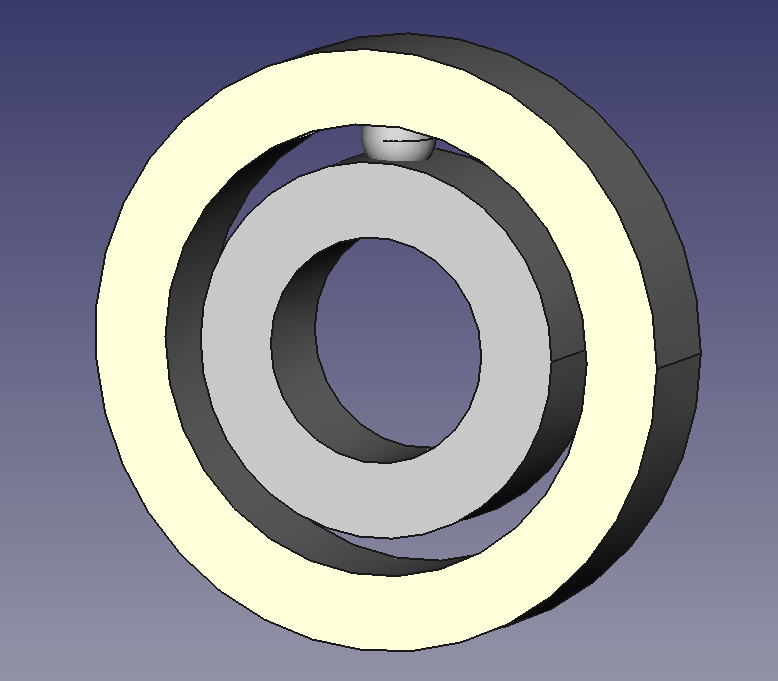 This instructions creates BFillet object that is our B box with all its edges rounded with an RR radius. The output of that command is the picture at the beginning of this post. 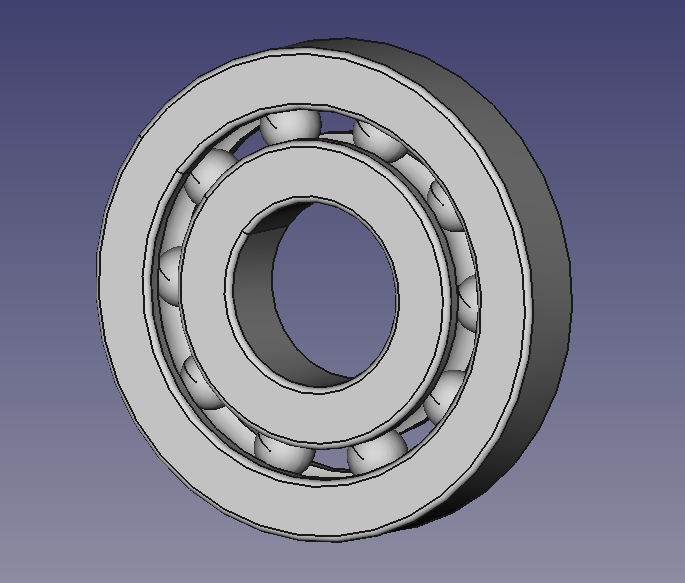 Next things to do are grouping all entities in the same object and create a standard bearing generator script. 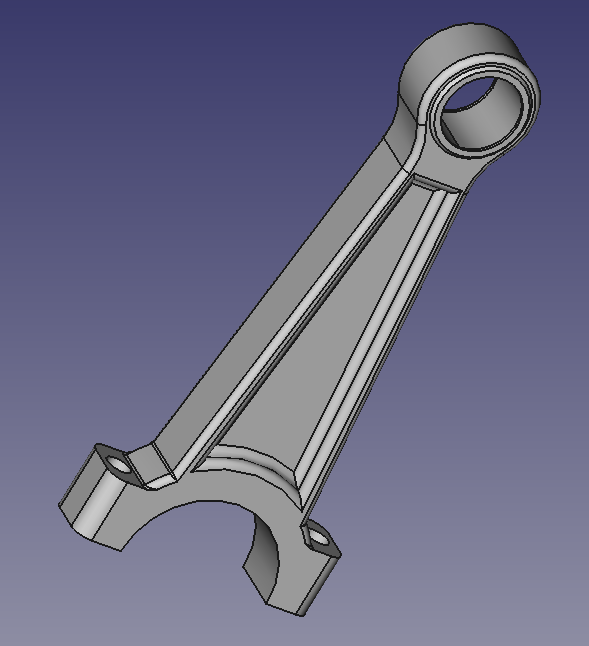 I have realized that there is no way (at least graphically) to create section views or cuts to 3d parts. A very useful tool to show internals. Also I have not found at the moment any way to measure distance or angles of points, edges, axis... Maybe in the next release. 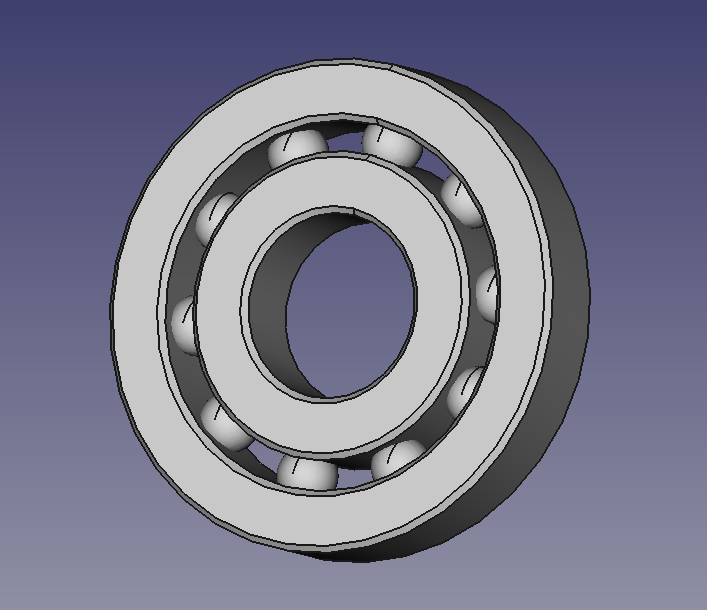 I started to study FreeCad Python Scripts yesterday and today I have managed to create a very simple script that builds up a very simple bearing. 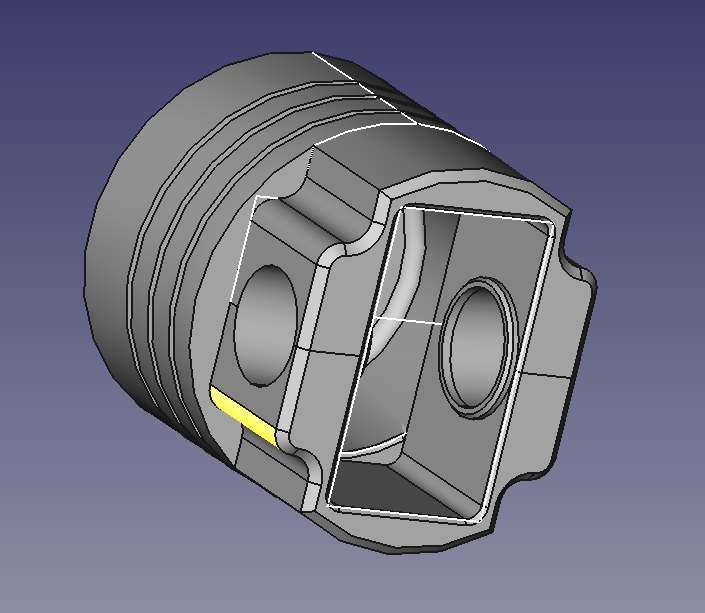 It can be used to figure how will it look in the assembly. To accomplish this task we will need two libraries, Part and math. The basic body of a conventional fixed ball-bearing can be built up in several ways. 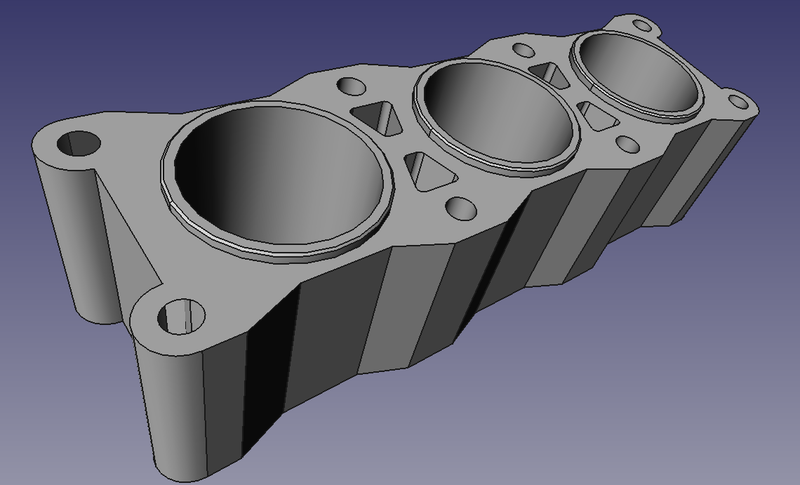 We are going to create 4 cylinders to achieve a very basic body. To solve getting the cylinders mixed with the rings, avoid Part.show() until all operations are finished. 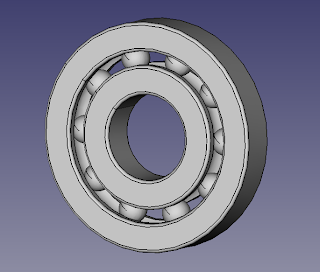 Now a bit tricky part: the balls of the ball bearing. 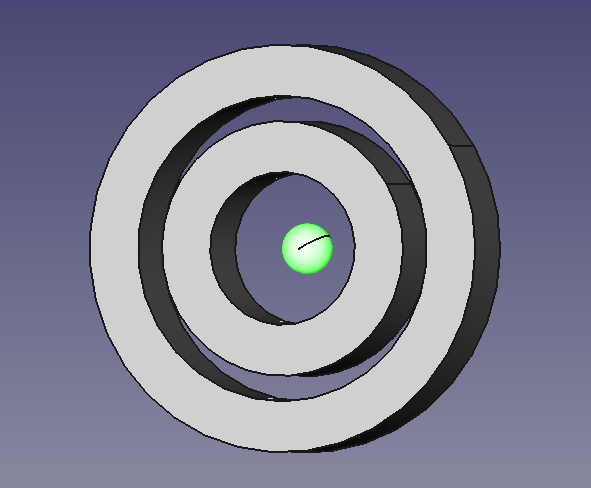 CBall (Ball circle) is the radius of the ball ring, the distance between rings measured from (0,0,0). Now we have the sphere in position. 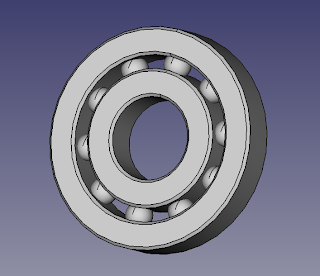 But we need more than just one to give this rough bearing a better looking. Create a ball, move it to its position and increase the angle of the position vector. Freecad documentation is poor or hidden and understand errors and commands take time. I have tried to write this tutorial and explain things as easy as I could. But if you need more explanations, do not hesitate to contact me. But don not think I must know the answer, I am just new here ;).